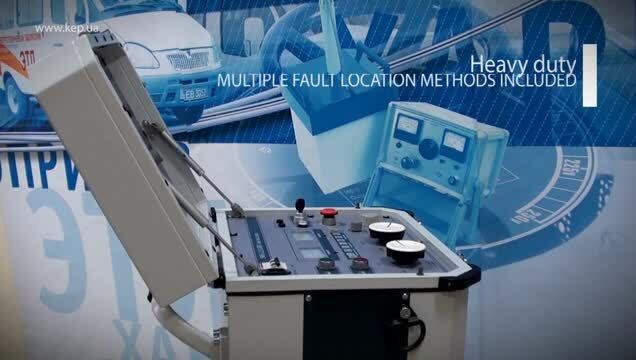 Complete fault locating system video from KharkovEnergoPribor Ltd.
Portable cable fault location system SWG-12/1100R is a complex solution for safe, fast and easy locating a faulty place on low and medium underground voltage cables. It includes a powerful high-voltage unit, which has a test, burn and surge generation modules, and a time-domain reflectometer for locating faults on cables. 03:05 High Voltage Test System HVTS 70 50 KharkovEnergoPribor Ltd.